Having parents break up is difficult enough for children; judges are very reluctant to force additional trauma by radically changing an existing custody arrangement. Expect a judge to ask about the parenting plan you’ve had in place so far, even if it’s informal and not part of an existing court order. He’ll want to know in which home your child has been living most of the time. He’ll ask which of you met your children’s day-to-day needs before you and their other parent separated. The court will want to identify their primary caregiver so his or her presence remains as consistent as possible in their lives. The longer a child has been predominantly in the care of one parent, the more likely it is that the parent will receive physical custody. Being a single parent can be difficult at times, and the court will want to make sure you’re capable of the job. A judge might ask about your job or career. Can you easily take time off from work if your child is sick and needs you? If the court places your child with you, will he spend a lot of time in daycare? When both parents work, a third-party caregiver is often inevitable, so the court will ask who cares for your child when you’re not available. If the caregiver you use is a family member, the court will usually prefer this to placing your child in a daycare facility. A judge might also ask about your social and leisure time, and about the character of friends or other individuals who frequently come to your home. A judge will want information about where you’re living. If you’re renting an apartment which you share with a roommate, this may work against you if your ex lives alone in a home with adequate bedroom space for your child. Another consideration is the emotional climate in your home. If you live in a stressful environment, such as if you have older children from another relationship who are constantly fighting or causing problems, this may affect a custody decision as well. The judge will probably ask questions about the home in which your child will live if he gives custody to you. Almost every state considers that frequent and loving contact with both parents is in the best interest of a child. Expect a judge to ask if either of you has ever interfered with visitation or done anything to disrupt your child’s relationship with the other. A parent who facilitates his child’s contact with his other parent will usually have an edge in a custody battle, especially if all other factors are equal. When you're in court, take care to answer the judge's questions calmly, truthfully and without obvious malice toward your child’s other parent. Who Picks Up & Drops Off a Child in a Divorce? If you and your spouse are contesting custody as part of your divorce, and the judge has decided that a custody evaluation is in order, you need to prepare yourself for a bit of a process. 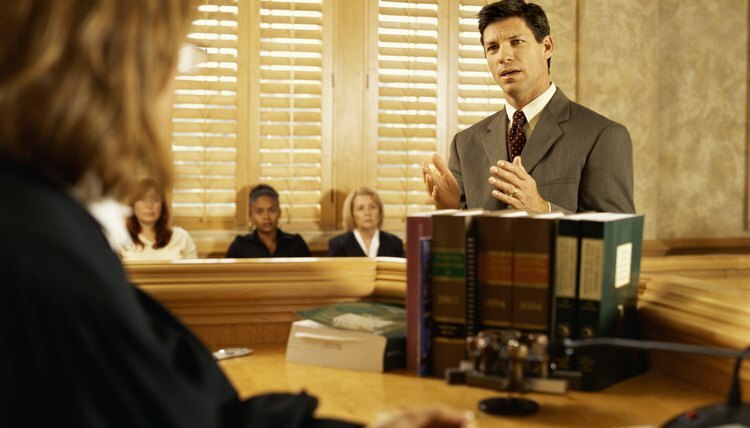 The evaluation is intended to help the judge determine the custody arrangement that is best for your children. These evaluations typically take several months and during that time, you'll probably lose sleep worrying about the outcome. It often helps to know what to expect, steps you can take to help move the process along and missteps to avoid. New Jersey courts don't often order joint physical custody arrangements, but "order" is the operative word. When parents agree that this is what they want for their children, and if they incorporate a joint physical custody plan into their marital settlement agreement, judges will typically sign the agreement into a divorce judgment. The court's resistance only comes into play when one parent wants joint physical custody and the other objects. This requires a trial, and a judge will weigh several stringent factors before ordering joint physical custody over the wishes of one parent. Every state defers to a concept called the “best interests of the child” when deciding custody issues. But different states interpret this guideline in different ways. As a parent, you might do your best for your child every day, only to find that a judge disagrees with your assessment. In the end, it comes down to the opinion of that judge and what he and his state believe to be the most important factors in a child’s life. But some standard tenets apply.